In the fall of 2018, the Gadsden Arts Center & Museum will host two major solo exhibitions centered on art as a catalyst for conversations about social change. 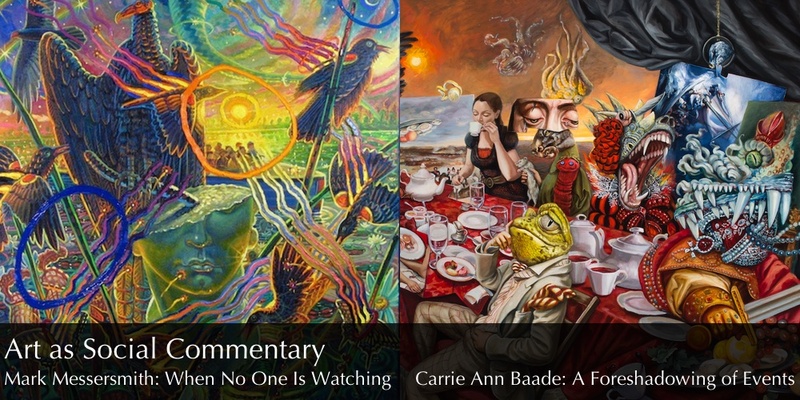 In response to the social ills of the world, artists Mark Messersmith and Carrie Ann Baade have created bodies of work that challenge humanity’s impact, and relationship with, the environmental, sociological, and economic climates. 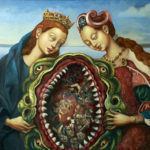 In stark contrast to many contemporary artists who have distanced themselves from traditional, representational painting, Messersmith and Baade create richly detailed oil paintings that incorporate traditional techniques, iconography, and symbolism rooted in Medieval, Renaissance, and Baroque painting. 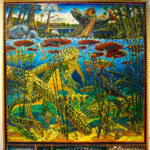 Mark Messersmith’s moody, chaotic landscapes feature crimes against the environment and indigenous cultures and evils specific to Florida and its unique ecosystems. 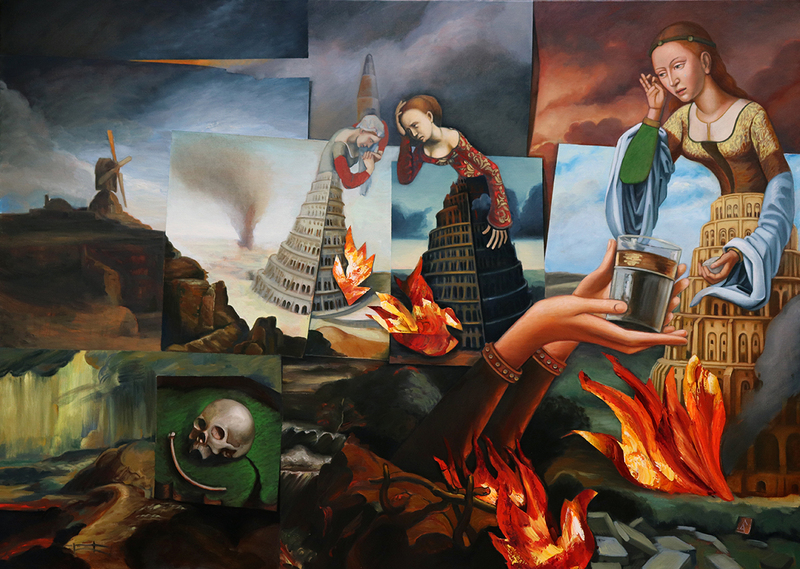 Carrie Ann Baade creates imaginative, surrealist meta-narratives detailing her view of the apocalyptic climate the world has adopted due to religious and sexist dynamics. Mark Messersmith’s oil paintings contain a frenetic energy of flora and fauna mixed with logging trucks, oil refineries, and apocalyptic cityscapes. 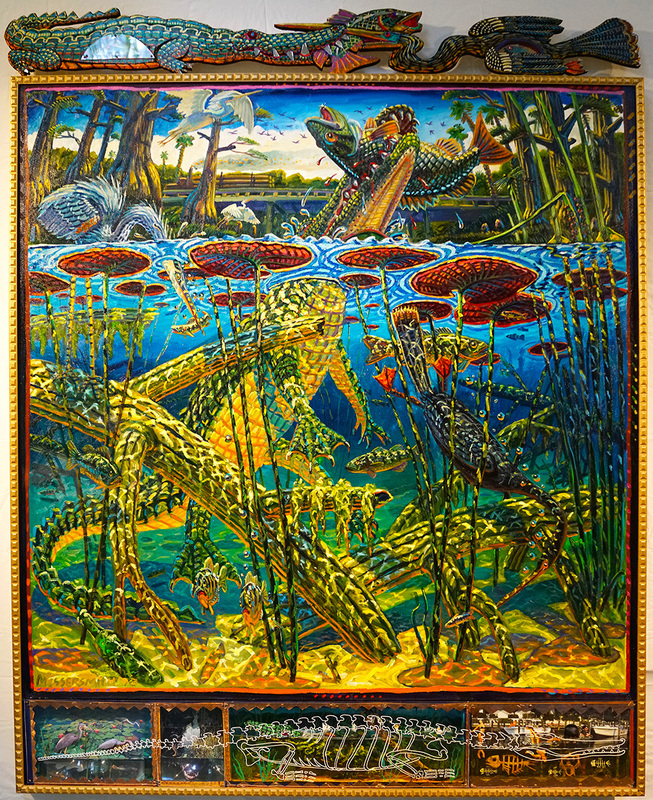 The artist came to Florida over 30 years ago and was struck by the constant tension of the state’s natural world butting heads with residential and commercial development. 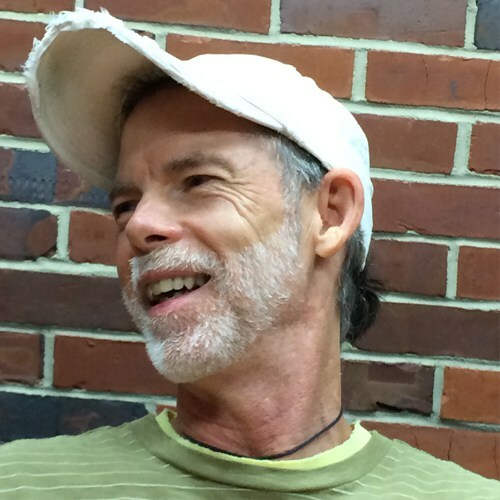 Messersmith came from the Midwest, where he says nature had all been paved over, leaving only a few squirrels and blue jays. Florida is a varied, beautiful, wild environment that has really only been inhabited by large numbers of people for 100-150 years. But in that time, the state has been striped almost bare of its natural resources, yet, as Messersmith tries to capture, the animals and plants of the area find a way to survive. The artist captures this never-ending conflict between man and nature using rich colors, dramatic light sources, and dizzying perspectives. Messersmith says he is capturing what is happening “just” beyond the suburbs and Walmart stores, the scenes of what is left of the natural world, with hints of encroaching developments. His maximalist works are topped by pediments of carved wooden animals, harkening back to altarpieces and illuminated manuscripts of the High Renaissance. Situated along the bottom of each work is a predella, a row of individual boxes filled with figurines and objects that not only continue the narrative of that painting, but also tells a tale that begins with optimism and often ends in apocalypse. Much like the developers in Florida, Messersmith will sometimes encroach on the viewer’s physical space, attaching sculptures to the frame’s edges, and hanging carved wooden flowers, sticks, insects, and even life size dogs in front of the paintings. These attachments echo imagery in the painting, creating confusion as to what is real and what is an illusion. 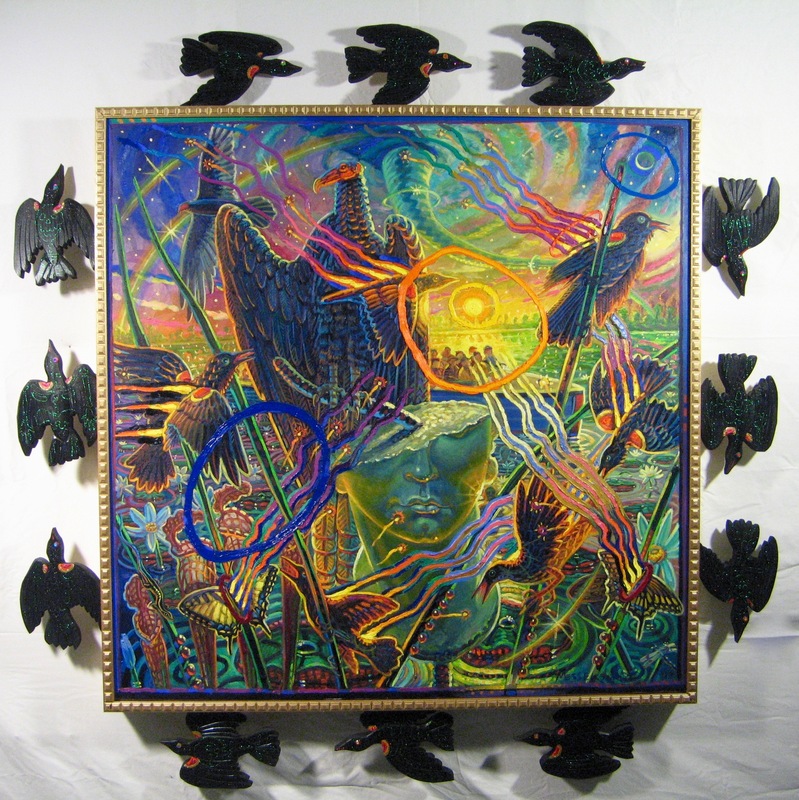 Each assemblage is a riot of color and imagery that pulls a viewer in to explore and decipher its many components. Messersmith’s work has a common theme of balance – what the artist defines as being midway between hope and despair as he explores the price for a misguided vision of a once-seeming inexhaustible natural world. 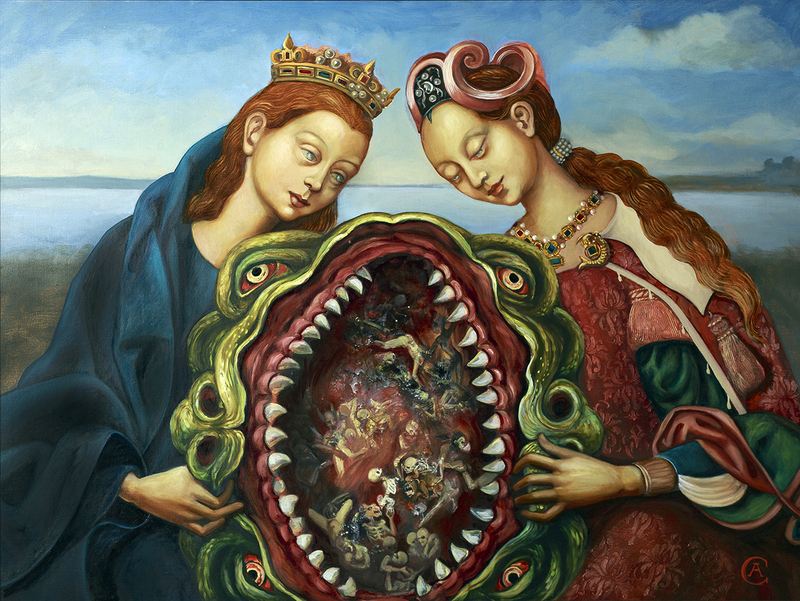 Carrie Ann Baade’s exhibition “A Foreshadowing of Events,” explores mortality through allegories of memento mori and vanitas. Baade’s work uses stories commenting on fears, desires, and introspections. In her original approach, she employs surrealistic collages made of images of people, angels, fire, and animals she has collected for the past decade by cutting them from the reproductions of historical masterpieces. 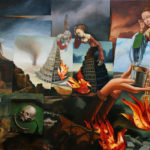 In her “dialogue” with old masters, Baade executes her paintings using old techniques, imitating, subverting, and distorting material reality to pay her tribute and articulate her own vision. This exhibition has given Baade the freedom to experiment in working on a larger scale, and an opportunity to share a number of her works in a gallery space near her work and home. 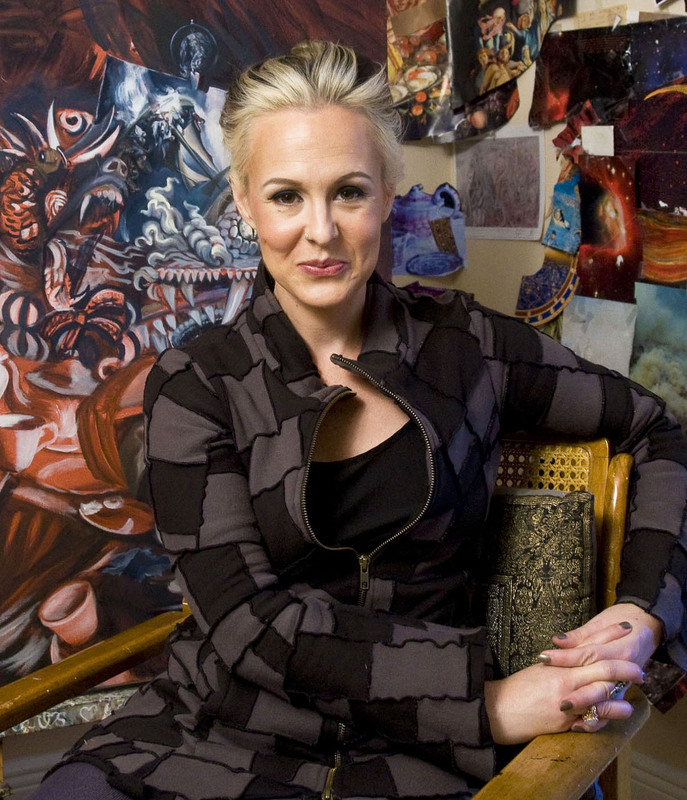 In the Zoe Golloway Gallery, a select group of students who study with Carrie Ann Baade and Mark Messersmith at Florida State University will also explore the theme of art as social commentary. Working though a variety of mediums, these students use their art as a platform for social change. Artwork by Toni Ardizzone, Elton Burgest, Kelly Hanning, Brian Holcome, Caroline Manuel, and Michelle Wilcox will be on display.